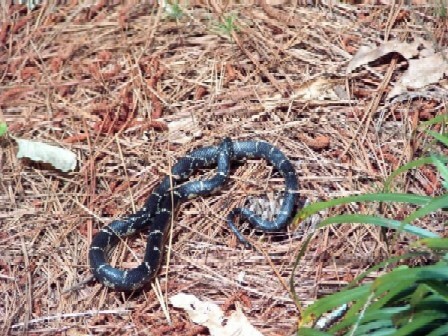 This king snake showed up on Sunday near Scooter’s grave. It stayed in the sunny spots under the dogwood trees and didn’t seem to be bothered by our walking nearby and my photo-taking. I hope this handsome reptile sticks around. The black rat snake that came for lunch a week ago seems to be gone, and we like having wildlife around, even the ones that slither.